You will learn how to create your own opportunity and success rather than waiting for it to appear. There has never been a better time to become the strongest chess player you could be! On one hand, there are chess players who play day in and day out, year after year just to get a tiny, unnoticeable improvement. They seem to be doing everything right, put a lot of time in… but the results just don’t come. But then, on the other hand, there are those who seem to have found a BETTER way. I’m talking about those who play chess on their own terms. They are able to get the dynamic position they know how to play, they find tactics, they identify best moves and simply wipe their opponents off the board! They are the chess players that win all the tournaments, get all the prizes and gain MANY rating points FAST, yet they seem to train much less while really enjoying the game! It not unusual for them to outclass their competition when it matters the most. Any chess player can learn the same skill set that gets the results, a game-after-game, and a tournament-after-tournament. And that skill – once you have it – will put your chess destiny in your own hands, for as long as you choose to use it! The KEY is… playing DYNAMICALLY. 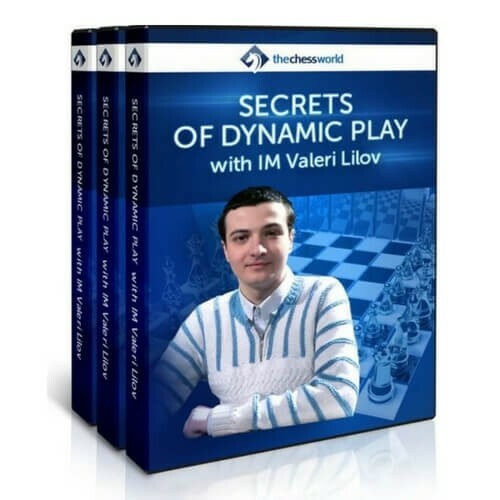 Imagine winning all those tournaments you play, collecting prizes and trophies, moving up in ELO ranks FAST, surprising all your chess friends who never believed it is possible… while enjoying your games!